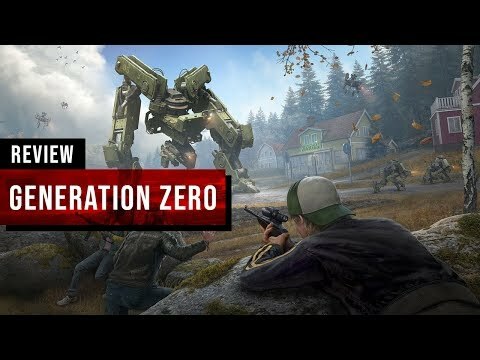 Generation Zero part by an incipit intriguing: an alternate version of the Sweden of 1989 is, in fact, invaded by an enemy force, equipped with robot four-legged animals that are alerted by the slightest noise, and attack anything that moves using a machine gun. Unfortunately, this is only the tip of the iceberg, because the troops of mechanics, that have invaded the country are not only very numerous, but composed of androids even more big and dangerous. The player can then choose to deal with them alone, or opt for cooperation with the other three users, transforming the experience into something very similar to a shipping and adding a certain thickness to be of strategic gameplay. The story , however, is liquidated in a few minutes you are immediately projected in the vicinity of a house apparently abandoned, while in the distance are visible the lights of a police car stops in the middle of the road. Inside the buildings you can collect weapons, ammo, medical kits, radios, and accessories of various kinds, which are indispensable when the enemies are many and you need to distract them with lights and fireworks. The use of the inventory is, however, quite cumbersome: the slots available are sufficient to carry many objects, but the allocation of certain resources to the shortcut keys should be repeated every time you run out of stocks of that item. When the backpack is full you need to leave something on the ground, but nothing is wasted, since the objects remain available to other players. Thesetting is huge, and also quite evocative, but lacks a clear idea of how to exploit at best the different scenarios. In Generation Zero you spend most of your time walking, covering vast distances without the possibility to use vehicles, and without which the thing to be justified in any way. There are people in life that are not any travel companions, and quests are bound to be assignments of exploration for the collection of clues and information. The placement of the enemies follows a principle of progression that sees you gradually increase the power and variety of the androids. To delete them you can use the various weapons found around or bypass them with a sort of stealthy approach. The problem is that you don’t get any advantage: the experience points you earn by completing battles and, although the flight is awarded, the release of upgrades for the character is already slower than his and does not need further uncertainty. The experience of Generation Zero, in fact, seem designed to entertain long into a sort of endgame perennial, and the size of the map are a striking proof. The problem, however, is how this time is spent, because it find to walk across long stretches of road without encountering anything along the way soon becomes boring. If this were not enough, the artificial intelligence is not the best and it happens too often that the androids get stuck somewhere or not able to understand how to hit the player behind a cover. With regard to the portfolio chart, the editor of the character is rather generic, while the yield of nature and the system of lighting makes the scenery really picturesque, with a day/night cycle is convincing and a great atmosphere. In the vicinity of urban areas, however, the houses are practically all identical, and are divided into a few types that repeat over and over, and reduce the interest to explore them. The design of the robots is interesting although not very original, while the concept of persistence is used little, given that it is rare to leave an enemy in suspended and find it after a bit of time still with the damage that had been inflicted earlier. Finally, beyond the excellent music, the initial, also the sound industry turns out to be rather essential, and without great originality. The release date of Generation Zero is set to march 26, 2019, on PC, Xbox One and PS4. To learn more, we invite you to read the full review curated by Tommaso Pugliese.